Six Sigma was first introduced in 1986 by an engineer at Motorola named Bill Smith. Six Sigma is a methodology that focuses on measuring quality and aiming for perfection. The techniques and tools used for process improvement and eliminating defects are the core of Six Sigma. 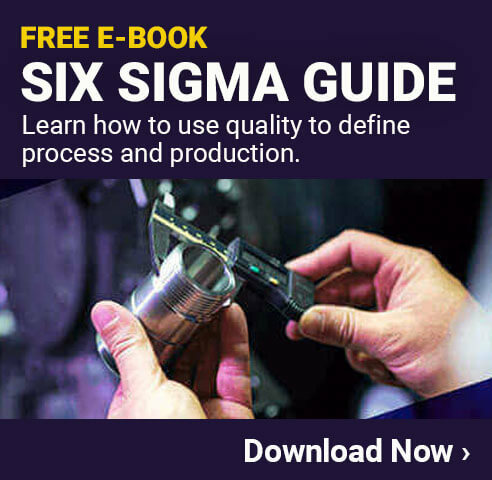 While the methodology began in the manufacturing industry, today the Six Sigma techniques are used in virtually every type of industry. The name “Six Sigma” comes from statistics and is related to a business’ efforts to eliminate defects from its products or services and strive for perfection. Sigma is a Greek letter (σ) that represents the standard deviation (the amount something deviates from what it ideally should be). Six Sigma aims to have six standard deviations (6σ – hence the name Six Sigma) between the mean and the nearest specification limit, or put another way, to have fewer than 3.4 defects per million opportunities. The Six Sigma methodology puts systems in place to collect data and measure success. Then a business can try to reduce defects and variation in processes through improvement projects. Doing so improves quality and customer experience, ultimately making a business more successful. Process Improvement – Process improvement is used to eliminate root causes of deficiencies in the organization. Process Design (or re-design) – Creating entirely new processes or re-designing existing processes that do not work properly and are beyond the scope of simple process improvement. Process Management – This element consists of tasks such as defining processes, measuring performance, analyzing data, and more. Six Sigma projects follow two project methodologies inspired by Deming's renowned “Plan-Do-Check-Act” Cycle. Each methodology is made up of five phases and is represented by the acronyms DMAIC and DMADV. 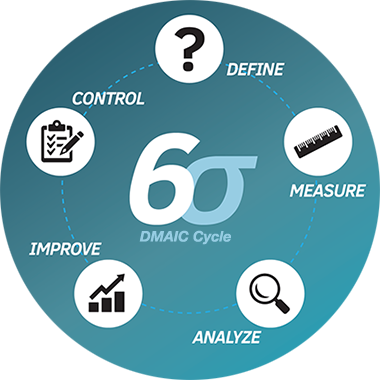 It may help to know that DMAIC is used mainly for projects aimed at improving existing manufacturing processes while DMADV, on the other hand, is used for projects aimed at creating new product or process designs. Define – Define the problem at hand, from both customers and process perspective. Measure – Measure the current process and collect relevant data. Analyze – Involves analyzing the data collected in an attempt to determine their relationship to the problem and how to solve it. Improve – Based on the data collected and the analysis, the problem should then be tackled so as to improve the whole process. Control – Controlling the future state of the process to prevent any deviation from target will ensure that the process remains on course. Define – This is same as the one earlier except it involves defining the design goal to meet the customers’ needs and manufacturing process. Measure – This involves identifying risks, production process capability, and product capabilities. Analyze - After creating the designs, each of them is to be analyzed; with the best possible one being picked for implementation. Design - Once a design is chosen, it is necessary to optimize it while planning for the next phase. This step may require simulations using certain software or prototype. Verify - The design, setup pilot runs, implement the production process and hand it over to the process owners. The Six Sigma program recognizes individuals based on their education and experience using the methodologies. There are formal levels in the program, which are identified by different colored belts (similar to martial arts). Individuals must attain certain certifications in order to attain these belts. The levels of belts are Yellow/Green Belt, Brown/Black Belt and Master Black Belt. 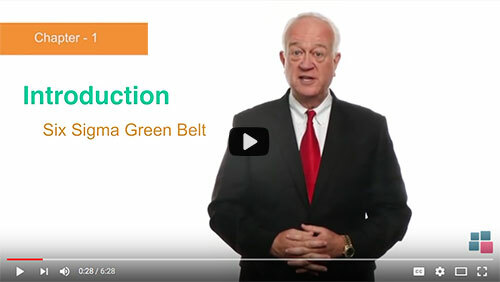 Anyone interested in the Six Sigma system should understand the requirements of each belt. Yellow belts are front line employees who have been properly trained in the concepts behind Six Sigma. They will not lead any projects, but will be involved with them as workers or contributors. 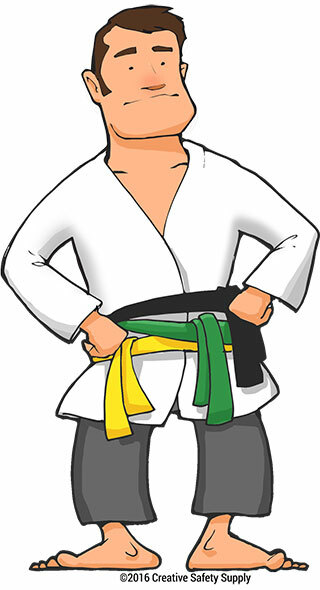 Many people will seek the yellow belt as a way to determine if they would like to continue their studies to pursue a green belt or higher. Green belt certified individuals work on projects for up to 25% of their typical work day. They usually function as team members on projects being run by black belts, though they can operate as a project leader on small or simple projects. Green belt certified employees typically get most of the work done on a given project. When working as a team member, the green belts coordinate with the leader to ensure the entire team is functioning and the project is progressing. They may also collect data about projects and potential projects to supply to black belts or champions. Each facility should evaluate its needs and determine whether someone can meet the requirements of a black belt. In some organizations there is just one black belt certified individual, in which case he or she must be an expert in all areas. In other companies, there may be multiple black belts, so the skills can be spread around. Black belts should have a mentor who is a master black belt. Ideally this will be someone within the same organization, but if that is not possible they can work with people from other companies. Organizations that have Six Sigma master black belts usually have them manage all the Six Sigma processes within the company. These individuals work closely with executive management and area leadership to develop and implement projects (which are typically led by a black belt). Becoming a master black belt takes several years of study, experience, practice, project work, and more. Master black belts also need to be mentored by existing master black belts in order to attain this level. Everyone in a Six Sigma facility should have at least a basic understanding of common terms used in this system. While it is ideal to have everyone yellow belt certified, it could suffice to provide very simple training to get things started. Critical to Quality – This is a term that describes attributes that are most important to the customer. Defect – Any failure to deliver what the customers desire. Process Capability – The maximum that your processes can deliver. Variation – Any changes felt or seen by customers. Stable Operations – Ability to deliver consistent, predictable results and follow standard processes (this helps reduce variation). Design for Six Sigma – The concept of designing products or services specifically to meet customer needs and the company’s process capability. The Six Sigma program is well established and has proven to be effective in many industries. Learning some key facts about the system and its history can help people see just how powerful Six Sigma can be for a company and how helpful a Six Sigma certification can be for an individual. Management-level business experts choose Six Sigma professionals over those with MBAs or Project Management certifications alone. The term Six Sigma came originally from statistics. Six Sigma Quality facilities generally produce long-term defects at a rate lower than 3.4 per million opportunities. By 2005, Motorola had credited Six Sigma with more than $17 billion in savings in the U.S. alone. 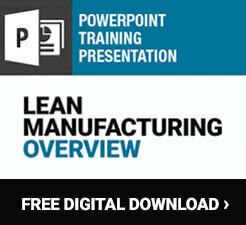 Today many companies are combining Six Sigma with Lean methodologies, creating Lean Six Sigma. Lean tries to eliminate waste and increase efficiency, while Six Sigma tries to eliminate defects and reduce variability. These methodologies often work well together for many businesses. Whether a company already uses Six Sigma or is hoping to implement it for the first time, one of the best things any individual can do is get a Six Sigma certification. These certifications not only benefit the company that employs these individuals, but also provide major career benefits to the individuals themselves. When a facility begins using Six Sigma seriously, it is a good idea to bring in a master black belt, or at least a black belt, to ensure the system is managed properly. As with any type of process improvement program, if it is not run properly from the top down, it could cause more harm than good. While it will take some effort, proper implementation of Six Sigma can revolutionize a company.